This post is sponsored by Universal Pictures. The text, opinions and content are all mine; except where expressly indicated. It’s hard to believe we are already entering the first week in November and the holiday season is here! As a food blogger and private chef, this delights and overwhelms me all at the same time. It’s my favorite food to cook (and eat, who am I kidding) but with that comes a ton of work professionally. 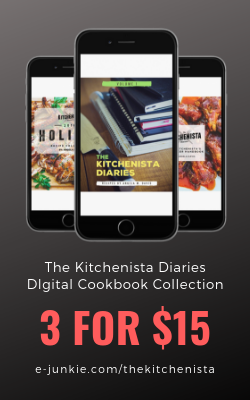 I have been holed away testing Thanksgiving recipes since summer ended, but I’m very pleased to be just about done with final touches on this year’s holiday ebook. This time next week, I’ll be ready to take a day off, treat myself to a meal cooked by somebody else and enjoy the beginning of the season! I might even get some Christmas shopping done early if I’m feeling extra motivated. One thing that’s definitely on my “fun” agenda is a movie night. I’m hyped to see Almost Christmas, coming to theaters on November 11th! It’s a holiday comedy featuring a ton of my faves, including Gabrielle Union, Omar Epps, Nicole Ari Parker and Mo’Nique. Danny Glover plays the lead role of a patriarch with one wish for Christmas: to see his family get along. The movie looks hysterical and of course, I can’t wait to see the food scenes! Glover’s character prepares a sweet potato pie in the film and I also hear there’s a burnt mac & cheese fiasco, yikes. Inspired by the release of Almost Christmas, I’m finally sharing my own sweet potato pie recipe with the masses! Every time I got to visit my grandmother as a child, she had two sweet potato pies set out for me. It didn’t matter what time of year it was, holiday or not, those pies would be waiting for me. I’d get to eat my share of pie while we were at her house and take the extra one home, despite my parents’ protests. She passed away several years ago, but her sweet potato pies will be a memory I carry with me all my life. Sadly, nobody ever got Grandma’s recipe. 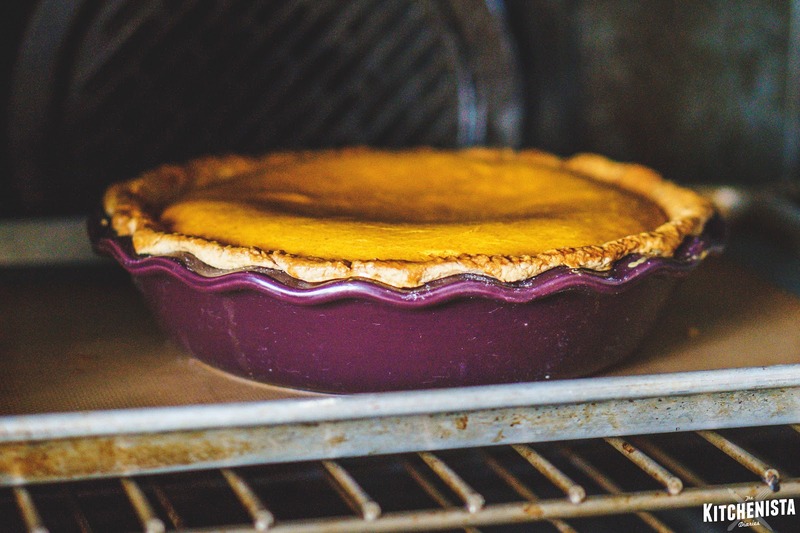 By the time I was a decent enough cook to attempt my own sweet potato pies, I had very little recollection of what she might have used in hers. I scoured recipe after recipe and gathered what seemed to be solid advice. It took a few years to tweak my way through variations, but I eventually settled on a recipe that felt like mine and honored my grandmother at the same time. It’s such a special feeling to be able to make those pies for my dad, aunts, uncles and cousins who had their own connection with Grandma’s food, especially around the holidays. I’ve served my sweet potato pie to catering clients as well, most notably The Roots! More than anything, it blows my mind to hear from followers all over the country who now make my pie as part of their family gathering. 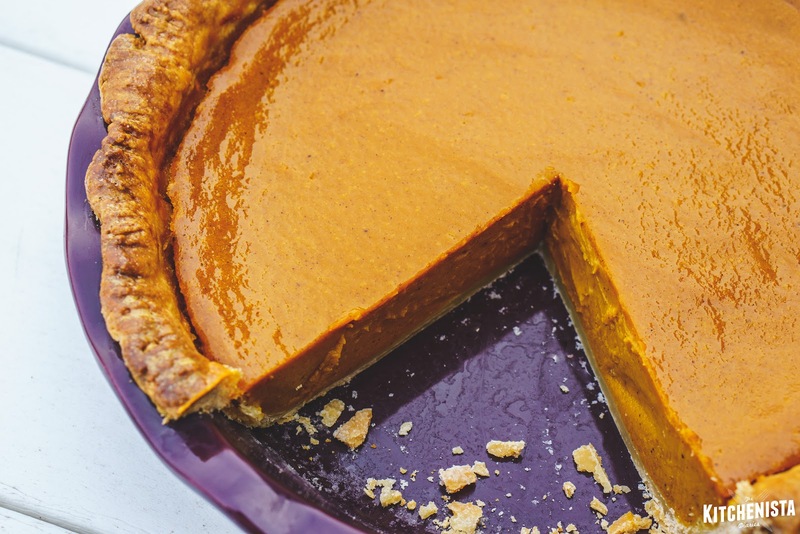 My method for sweet potato pie is certainly more involved than most, but the results are consistent (consistency I realized, was crucial once I started making pies for clients.) Since sweet potato pie is essentially a custard pie, I zeroed in on a different set of techniques. My goal was to have a dense, creamy, smooth custard filling that wouldn’t crack or turn out grainy. 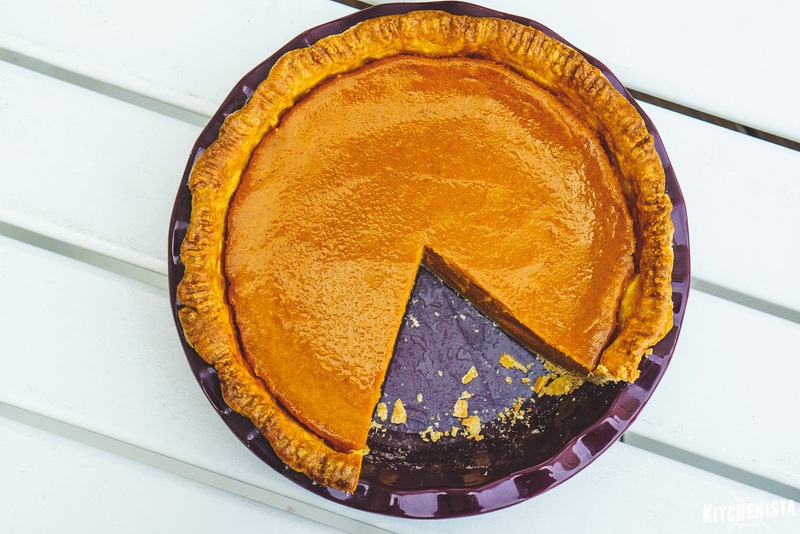 Steps are taken to blind bake the pie crust, puree the sweet potatoes in a blender, heat the filling and temper the eggs, all before pouring into a hot crust to finish baking at a low temperature. 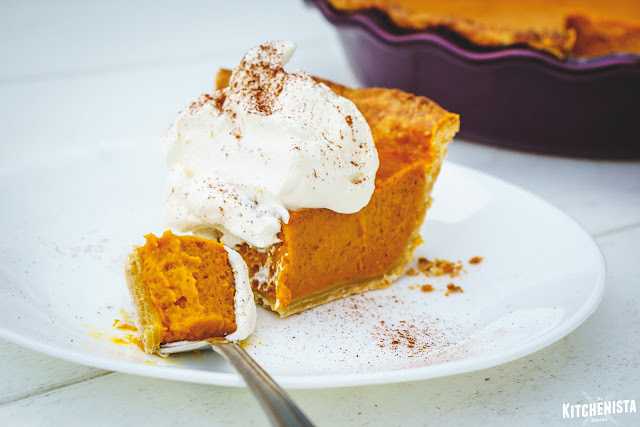 If you have the patience to allow the pie to chill completely overnight, you’ll be rewarded by the best sweet potato pie of your life. This is a pie that deserves the spotlight at your family’s holiday table! 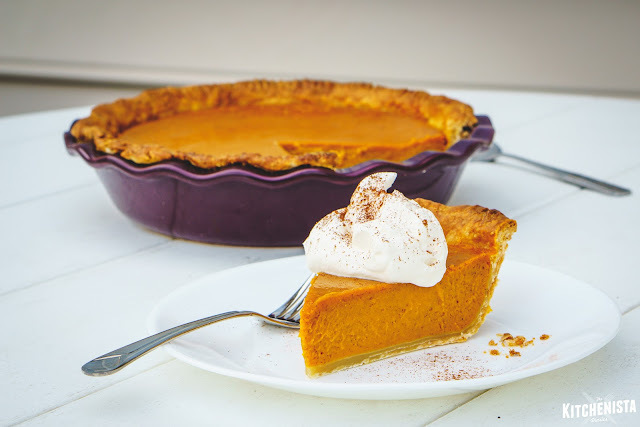 You can check out the trailer for Almost Christmas here, then read on for my Deep Dish Sweet Potato Pie Recipe below! Note: This recipe first appeared in The Kitchenista’s Thanksgiving Handbook, published in 2015. I’ve made a couple minor modifications which appear in the version here. My updated Deep Dish Sweet Potato Pie recipe will be included in this year’s holiday ebook, tentatively available for purchase on November 7th! 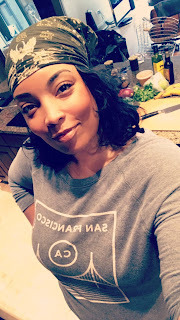 This year, I’m sharing more than 40 original recipes and all my best tips to help you slay in the kitchen this holiday season! Preheat oven to 375°F. Scrub the sweet potatoes. Lightly coat them with oil, pierce a few times each with a fork, and arrange on a foil lined baking sheet. Roast for about an hour, or until they can be easily pierced with a fork. The best sweet potatoes to use are Jewel Yams, Garnet Yams, or red-skinned sweet potatoes. 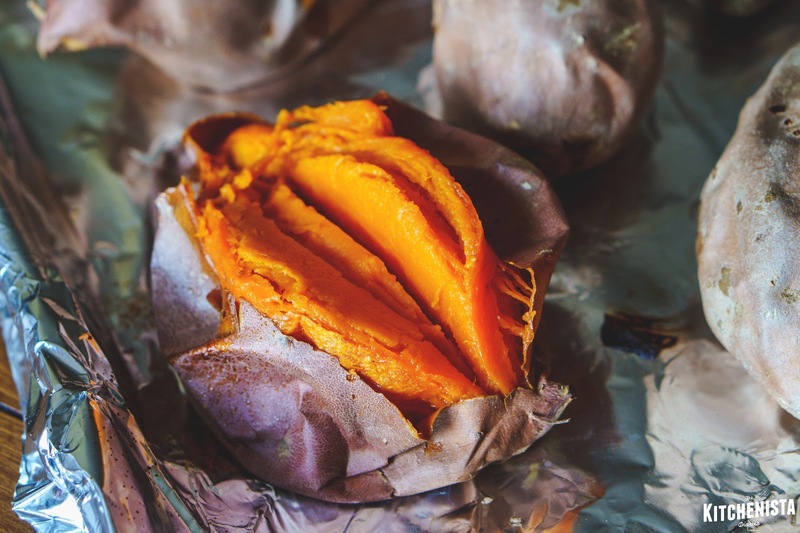 You want to use sweet potatoes with a bright orange flesh for the best color and flavor. Once cool enough to handle, scoop out the flesh, mash it, and measure 2 ½ cups to use for the filling. Sweet potatoes are one of the easiest side dishes to keep on hand, so I always roast a ton and use the leftovers for other meals. Prepping the sweet potatoes can be done in advance; store the measured amount for the filling in the fridge for up to a few days, or freeze up to a few weeks. Preheat oven to 425°F. Blind baking the crust will ensure that the bottom stays crispy! You should blind bake the frozen crust while you prepare the filling. Line the crust with parchment paper or foil that has been sprayed with non-stick cooking spray on the side that will touch the crust. Fill the pie up with dried beans or rice. This weighs the crust down so it doesn’t puff up or sag while it bakes without a filling. Bake for 15 minutes. Meanwhile, puree the sweet potato with half & half, vanilla, orange zest and ginger. 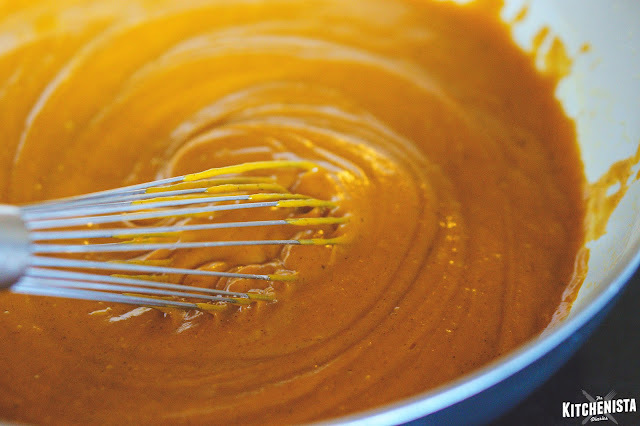 In a small bowl, whisk together both sugars, cornstarch, salt and all spices. 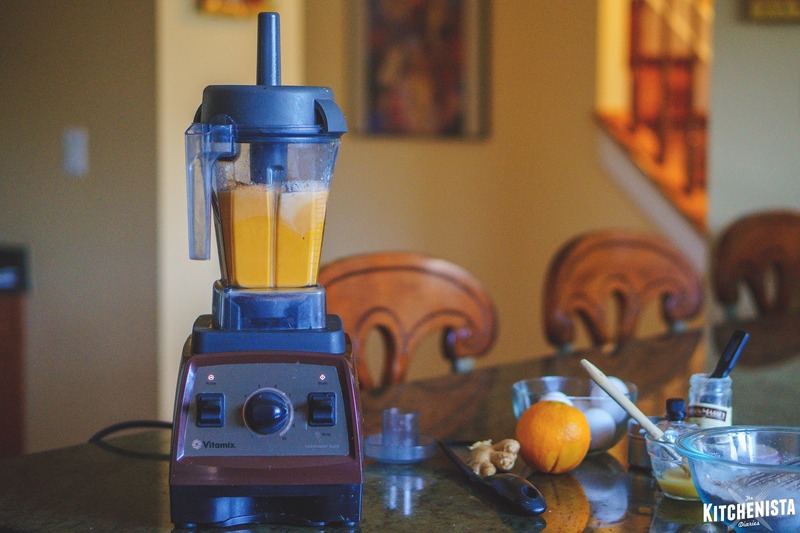 With the motor running, pour the sugar mixture into the blender and puree until smooth and velvety. In a medium pot, allow the butter to melt over medium low heat. Once sizzling, pour in the sweet potato filling. 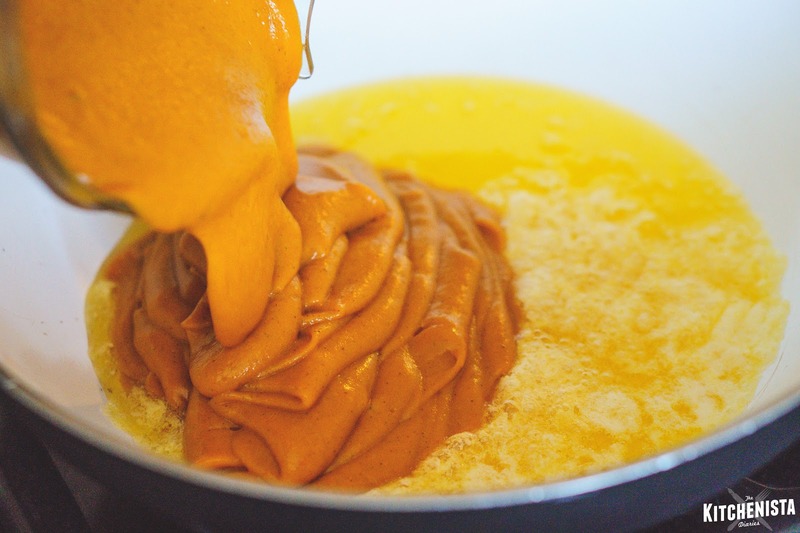 Whisk to thoroughly incorporate the butter and cook for a few minutes, stirring frequently. At this point you can taste and make any adjustments on seasonings or sweetness. You want the spices and sugar to enhance the sweet potato but not overpower it. Once the crust has baked for 15 minutes, carefully peel the paper or foil away and remove the beans/rice. They can be saved and reused for another pie. 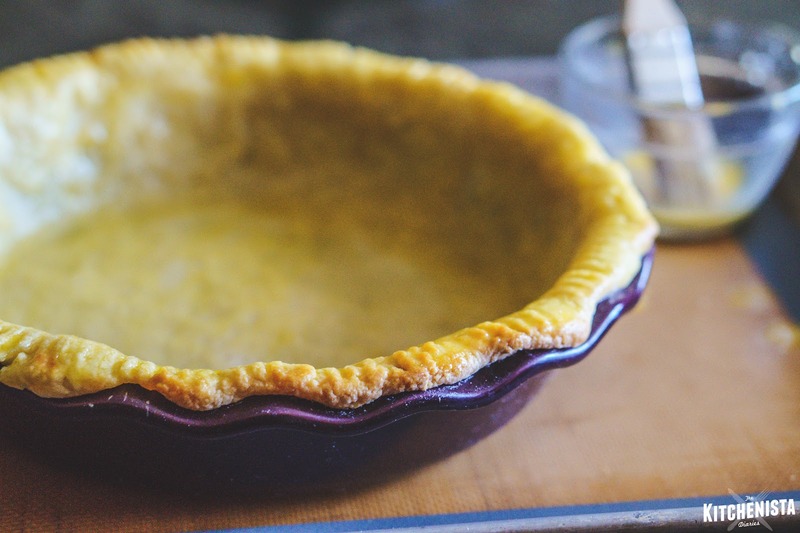 Quickly brush the entire pie crust with a light layer of egg wash, which is simply an egg yolk mixed with 2 teaspoons of water. Return the pie to the oven and bake for another 5 minutes, uncovered. Turn down the oven to 325°F. 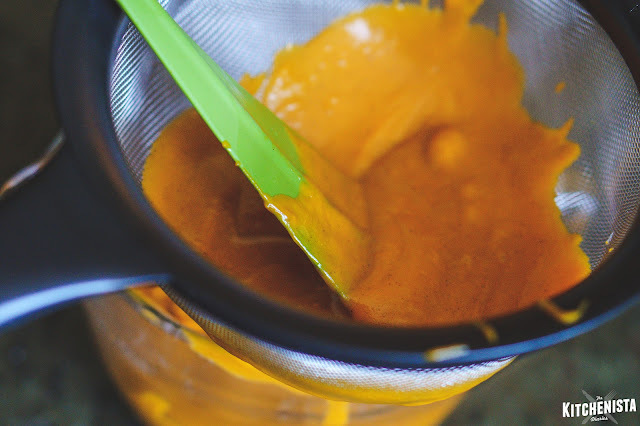 Back in the blender, mix the remaining 3 eggs and 2 egg yolks together on low speed (you don’t want a ton of air incorporated into the filling.) Add a half cup of the warm sweet potato filling to the eggs, and quickly mix again until smooth. This tempers the eggs so that they don’t scramble immediately when introduced to the pot. Pour the tempered eggs into the filling, whisking quickly to combine. The timing of this should be that you are adding the tempered eggs while the pie crust is baking for its last 5 minutes. Allow the filling to cook on low heat, stirring frequently, until the pie has finished blind baking and is removed from the oven. To be extra cautious, I pass the filling through a fine mesh sieve to catch anything that may have curdled. Pour the hot filling into the hot pie crust. 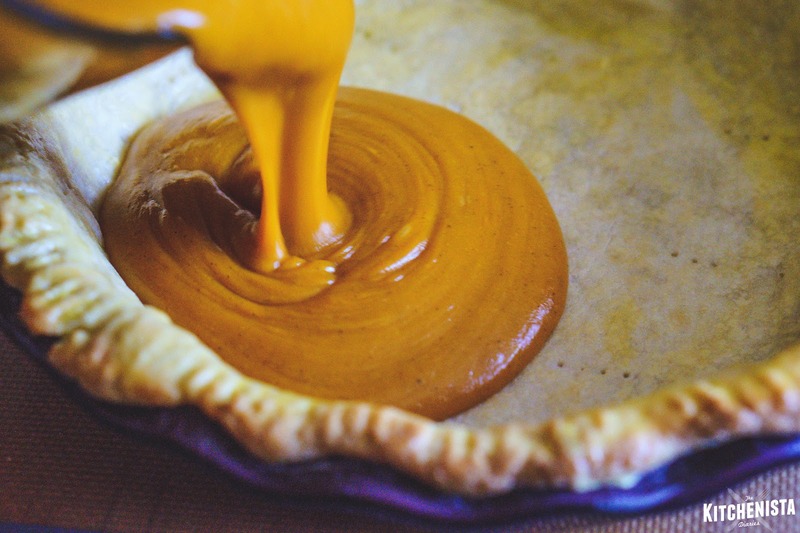 The beauty in this method, which I learned from America’s Test Kitchen’s pumpkin pie, is that the custard and crust are now the same temperature when they enter the oven. 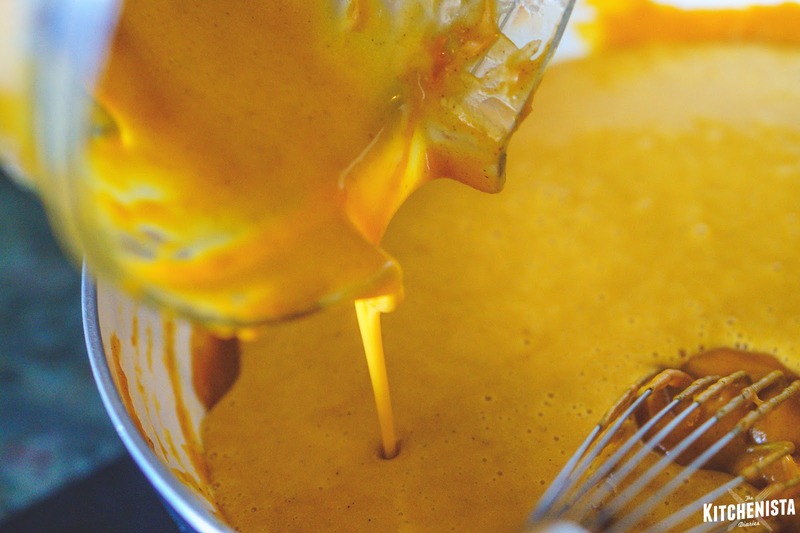 The custard will cook evenly, and because it was pre-cooked, won’t take as long to bake. Bake the pie on the bottom 1/3 of the oven at 325°F, for approximately 40 minutes. The pie may puff up slightly towards the end of baking. 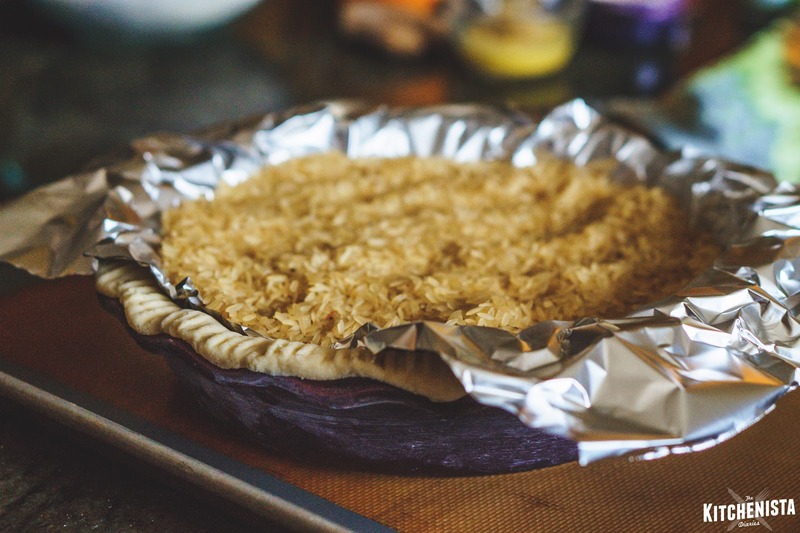 If the rim of the crust browns too much, place a pie shield over the top to protect it. To know that it’s done, gently jiggle the pie. If only the center quivers – it’s done! The pie should also look dry; a very large wet area in the center may indicate it needs a little more time. minutes. Cooling a custard pie too quickly can result in cracks. 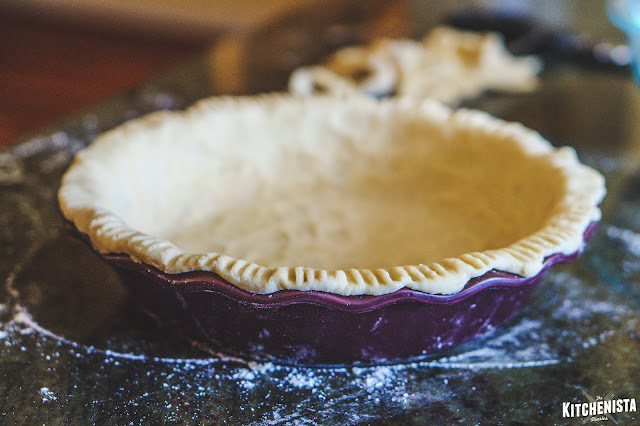 After 30 minutes, remove the pie and finish cooling on the countertop until it reaches room temperature. It can then be transferred to the fridge to chill overnight for best results. If you simply can’t wait – at least give the pie 4 hours for the custard to set. The pie may look a little dry when it comes out of the oven, but the surface rehydrates as the pie chills. To prepare the whipped cream, combine the chilled heavy cream, sugar and vanilla in a large bowl. By the way, I sometimes don’t sweeten the cream at all, so adjust to your personal preferences. Beat on high speed until soft peaks form. Serve immediately, garnish with a pinch of cinnamon or grated nutmeg! 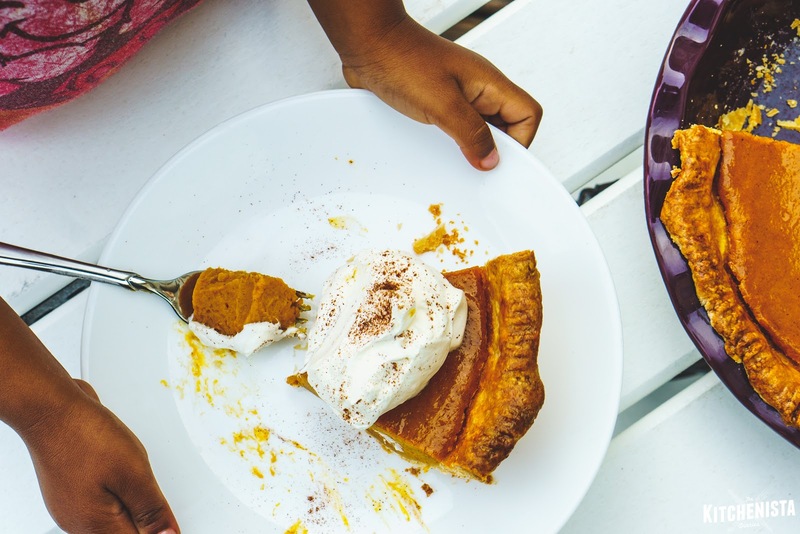 A good sweet potato pie recipe will become a family treasure. Learn it, cherish it, and by all means please share it! Everybody has their own secrets to add, whether it’s an extra pinch of a secret spice (cardamom and mace are excellent additions) or a splash of “something special” in the filling (hint: try bourbon or orange liqueur.) Make it your own, but make it often! Don’t forget to head out to see Almost Christmas, in theaters on November 11th. You can also “like” Almost Christmas on Facebook, or follow on Twitter and Instagram. I wish all of you a fantastic start to this year’s holiday season! Thank for the recipe and tips. I'm always looking of ways to improve my sweet potatoe pies. Will definitely try this method. 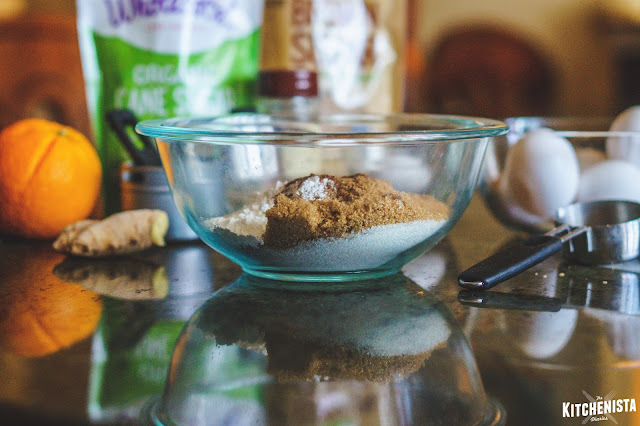 Fantastic recipe -- really love your blog! I used your recipe for my very first sweet potato pie. Killed it! You are awesome.